The air transport industry is not only a vital engine of global socio-economic growth, but it is also of vital importance as a catalyst for economic development. Not only does the industry create direct and indirect employment and support tourism and local businesses, but it also stimulates foreign investment and international trade. 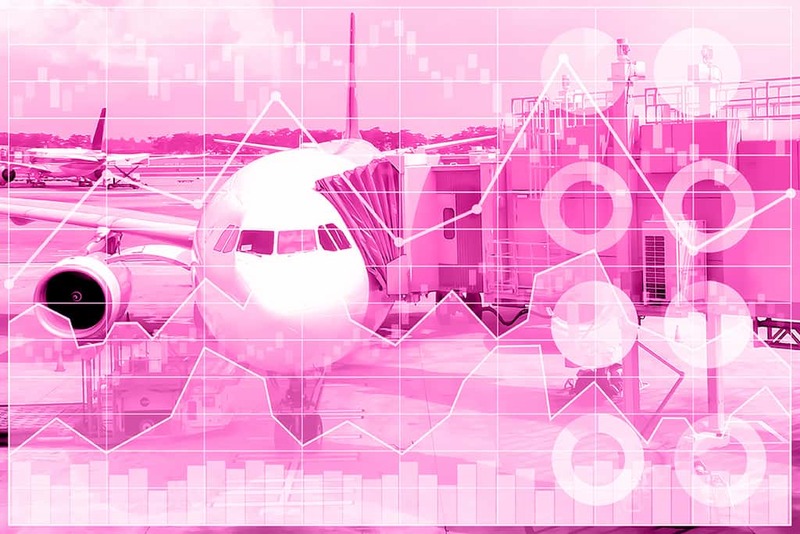 The UN recognized ICAO as the central agency responsible for the collection, analysis, publication, standardization, improvement and dissemination of statistics pertaining to civil aviation. Because of its status as a UN specialized agency, ICAO remains independent from outside influences and is committed to consistently offering comprehensive and objective data. Every month ICAO produces this Air Transport Monitor, a monthly snapshot and analysis of the economic and aviation indicators. World passenger traffic grew by +6.5% YoY in January 2019, +1.2 percentage points higher than the growth in the previous month. This was the highest growth recorded since July 2018, indicating a positive start of the year. Asia Pacific, Europe, and North America denoted the highest traffic growth in respective order. The Middle East picked up slightly, however, remained as the slowest growing region. China posted the fastest growth in domestic traffic, followed by India and the Russian Federation. International passenger traffic grew by +6.0% YoY in January 2019, +0.5 percentage point higher than the growth in the previous month. All regions accelerated in traffic growth except Europe and Latin America/Caribbean. Europe, however, remained as the strongest international market. The growth of international tourist arrivals* followed a similar monthly trend. Capacity worldwide increased by +6.4% YoY in January 2019, +0.3 percentage point higher than the growth in the previous month (+6.1%). According to the airline schedules, the expansion of capacity is expected to be at +5.5% for February 2019. The passenger Load Factor reached 79.6% in January 2019, -0.8 percentage point lower than the LF recorded in the previous month. As traffic growth remains at par with capacity expansion, the January LF was the same as the rate in January 2018. World freight traffic reported a negative growth of -1.8% YoY in January 2019, -1.3 percentage points lower than the growth in the previous month. After experiencing a third consecutive negative growth, freight traffic reached its slowest pace in twelve months. Freight traffic continues to be impacted by the apprehensions surrounding Brexit and the on-going US-China trade tensions. All regions, except for Africa, North America and Latin America/Caribbean posted a decline in growth, and the other three regions posted negative growth. The weakest performance was reported by the Middle East, followed by Asia/Pacific. North America remained as the fastest growing region, followed by Africa, albeit with moderate growth. In terms of aircraft departures, the top 15 airports reported growth of +4.3% YoY. Fourteen out of the top 15 airports posted YoY increases. Atlanta ascended by 1 position to 1st and grew at +3.0%. The strongest growth in operations was recorded by Phoenix at +19.7%, followed by Charlotte at +8.3%. In terms of passengers, the top 15 airports reported growth of +3.9% YoY. All the top 15 airports posted YoY increases, except for Tokyo and Dubai with a decline of -1.5% and -1.2%, respectively. Beijing topped the list and grew at +5.8%. Shanghai reported the highest growth at +8.8%, followed by Guangzhou and Hong Kong at +8.6% and +6.2%, respectively. In terms of freight, the top 15 airports reported a decline of -1.1% YoY. Nine out of the top 15 airports posted YoY decreases. The most significant decline was posted by Tokyo (-11.9%), followed by Shanghai (-7.1%). Hong Kong topped the list albeit, with a decline of (-4.0%). Guangzhou became the fastest growing airport with a +8.8% YoY increase. In terms of RPK, the Top 15 airline groups accounted for 46.2% of world total RPK in January 2019 and grew by +6.0% YoY. This growth was -0.5 percentage point lower than the world average on scheduled services. All of the top 15 airline groups posted YoY increases. American grew at +0.5% and ascended 1 position up to 1st. Following were United and Delta, up by +3.6% and +5.9%, respectively. Southwest grew by +4.5% and descended 1 position down to 11th. Emirates and Qatar retained their 4th and 12th positions and rose by +2.0% and +6.0% respectively. AF-KLM grew by +2.3% and dropped by 1 position down to the 6th. Lufthansa recorded strong growth at +8.2% and retained the 8th position. IAG remained at 7th with solid growth of +7.9%. Ryanair recorded the second highest growth among the top 15, at +11.0% and was up by 1 position to 13th. Turkish Airlines grew at +1.5% and remained on 15th. The growth of major airlines in Asia/Pacific continued to be solid. China Southern recorded the fastest growth at +16.5% and ranked 1 position up to 5th. Air China maintained its stance at 9th while China Eastern was up 1 position to 10th. Singapore Airlines reported the third highest growth at +10.4%, albeit dropped by 1 position to 14th. Worldwide capacity expanded by +6.4% YoY in January 2019. All regions posted acceleration in capacity expansion except Europe and the Middle East with the latter posting the most significant deceleration. Europe continued to be the fastest growing region, followed by Asia/Pacific and Latin America/Caribbean. Africa remained as the slowest region in terms of capacity expansion. OAG: Official Airline Guide; RPK: Revenue Passenger-Kilometres; UNWTO: World Tourism Organization; YoY: Year-on-year; YTD: Year-to-date.